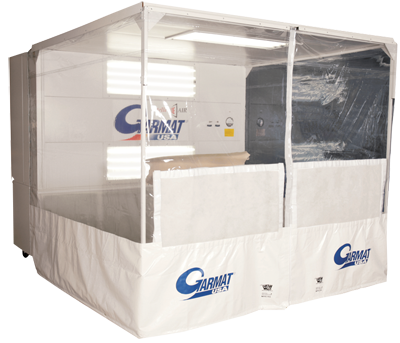 Intelle-Air® is a mobile, limited finishing station that allows you to sand, prep and paint spot repairs while keeping your paint booth free for bigger jobs. Intelle-Air is the intelligent way to work – Intelle-Air provides for a clean, ventilated atmosphere which translates to better air quality, better finishes, a healthier work environment and a more profitable bottom line. 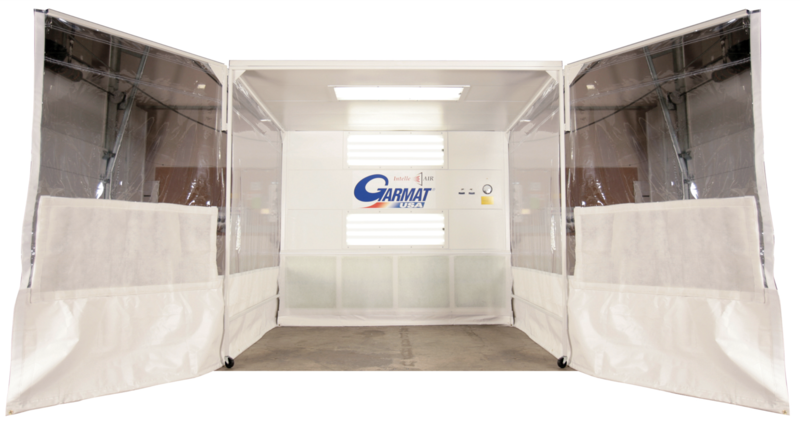 In the body shop, Intelle-Air can actually alleviate bottleneck – The unit is mobile so it can be positioned where you need it most, eliminating the need to constantly rearrange cars or parts to prepped and / or sprayed. Intelle-Air is equipped with a multi stage filtration system which removes 99.5% of particulate from the air. By using existing shop air (already heated or cooled), you will reduce your energy costs.